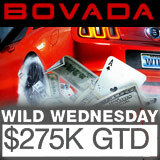 There is over $275K spread across thirteen Wild Wednesday Bovada Poker tournaments that are scheduled for one day only, March 2, 2016. 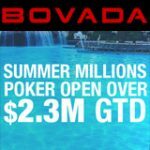 The selection of online poker tournaments have buy-ins suitable for all stake levels as they range from $5.50 up to $270 for the Main Event. 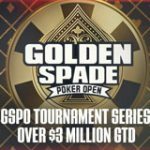 Win your entry to these events by playing the daily satellite tournaments which are currently running on the tournament tab in the lobby. 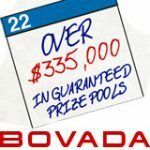 USA players can signup to Bovada Poker and get up to $1,000 bonus matching your first deposit amount. 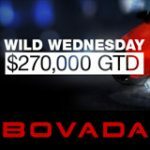 Wild Wednesday returns to Bovada Poker on March 2 with thirteen scheduled online poker tournaments adding up to a total of $275,000 in guaranteed prize pools. 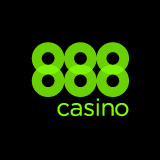 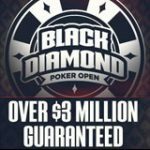 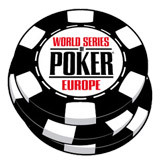 Players can register on the day of the events or start playing the qualifying satellite tournaments which start from $0.77, win your entry for a fraction of the direct buy-in amount. 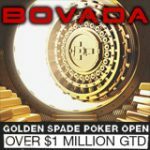 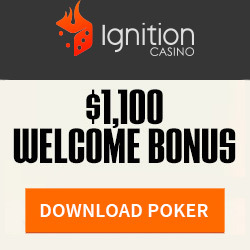 Download Bovada Poker - get up to $1,000 deposit bonus when signing up and making a first deposit, USA Poker players only.